This 1907 Bungalow is rich with history. It once housed a man who founded a Lung Hospital in Tucson. His Father-in-Law founded the town of Perkins, OK. 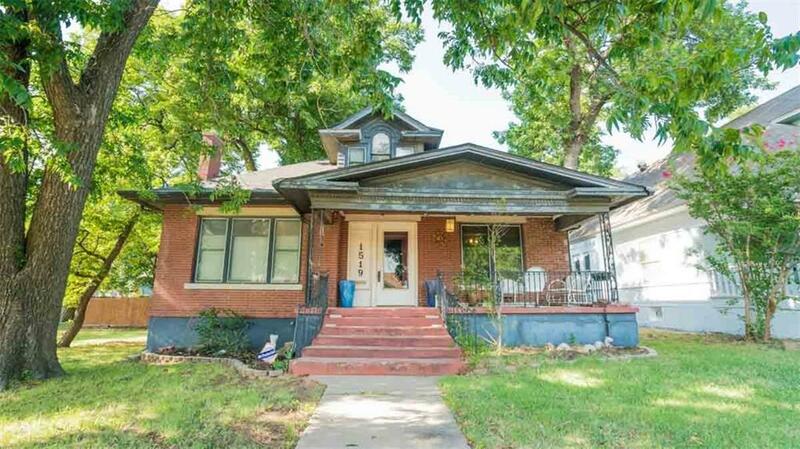 The historic charm this home possesses is hard to match in Oklahoma City, with the transom windows above the doorways, keyhole entry into the living room, and original wood fireplaces, and original pocket doors. Original stained wood throughout the home makes it a showstopper and displays the amount of money put into the construction of this historic home. Remodeled kitchen has new countertops, cabinets, electrical and plumbing. Spacious bedrooms can fit king-sized beds. Two bedrooms are downstairs and the other two are upstairs. Neighbors love sitting on their front porch listening to music, reading a book, conversing with passersby, and seeing the wonders of city life play out in front of them. This home is the ultimate gateway into the past and it needs a new gatekeeper to continue its legacy.